When it comes to making the world a better place for dogs and cats everywhere, it’s great to have allies in the mission. Recently, we partnered with the wonderful people at Barkpost, getting involved in their weekly Barkfund project, which gives grants to cool, innovative projects that help pets everywhere. Each week, the Barkfund awards a $1,000 grant to one of these project. For two weeks, we doubled the donation, lending a hand to two very innovative and important projects that will help a lot of pets everywhere. Kane’s Crusade is an organization that keeps families together by distributing C.A.R.E. Kits, which includes food, treats, vaccinations, dog, houses and more. This coming fall, Kane’s Crusade is launching their 3rd Annual Dog House Build Off. It’s a day where 70 volunteers will come together to build “Kondos”, customized, fully-insulated doghouses with heating systems. These Kondos are going to dogs who live in the Greater Springfield, Massachussetts area. With the winter months around the corner, it’s important to keep these pups as warm as possible. Check out photos from last year’s Kondo building day here, and visit Kane’s Krusade for more information on their amazing project. This Texas-based shelter is on a mission that’s very similar to ours: giving fresh ingredients to pets! Their Doggone Green Garden is growing veggies like carrots, broccoli and cucumbers that they’ll use as healthy treats for their pups. They’re also growing beneficial herbs like Calendula and Ginger that are also helpful for dogs. We especially love this project because it’s another way to bring the power of fresh food to pets! Visit the PAWS Shelter site for more information on this project! We were so happy to be able to fund these two amazing projects that will help many pets. A very special thanks to Barkpost for helping us get involved in these worthy projects. 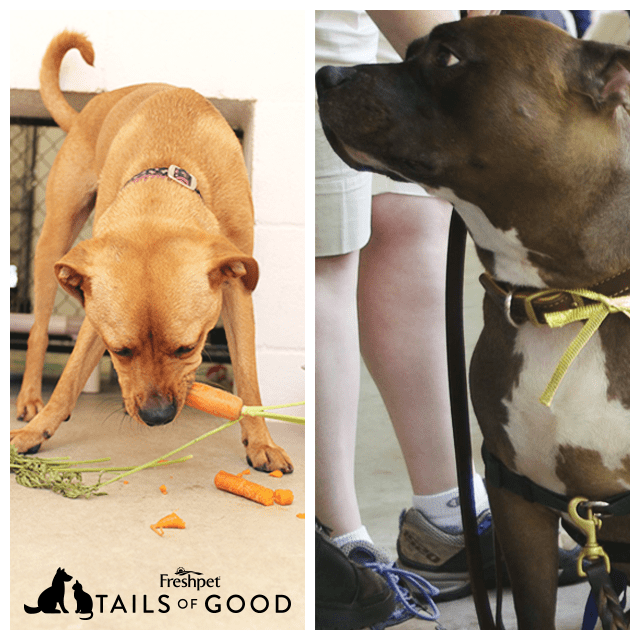 If you know of a pet or family member who deserves a Tail of Good, we want to hear from you! Email us at [email protected], or send us a message on Facebook or Twitter. See you next week!